Asiago is a semi-firm Italian cheese made from cow’s milk. You can find two varieties of Asiago in the market- fresh and aged. Fresh Asiago has a slightly sweet taste while aged Asiago has a tangy flavor. Usually, Asiago is used for several d﻿﻿is﻿﻿﻿﻿﻿﻿h﻿﻿es, that call for grating cheese, like salads, soups, and pasta. I know many of you don’t have this ingredient, that’s why I have compiled a list of several ingredients that can work as substitutes for Asiago cheese. 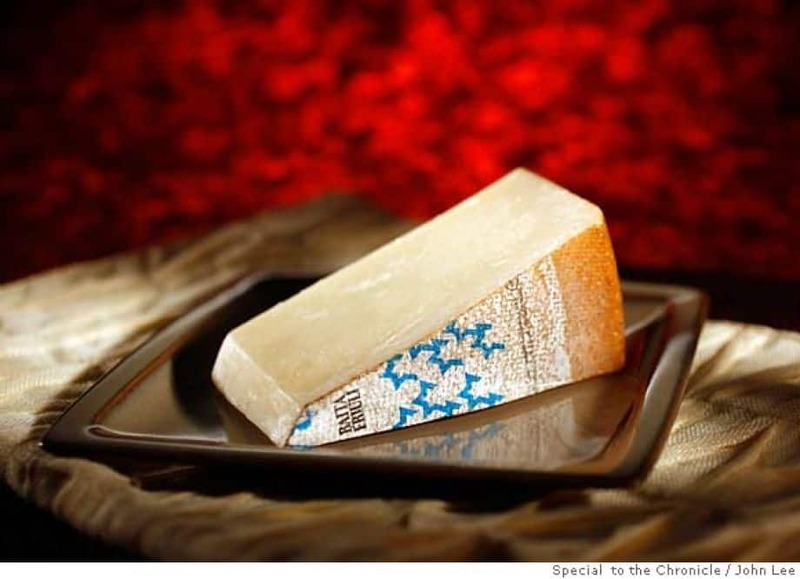 If you’re searching for aged Asiago and can’t find any, then the Grana Padano is the closest cheese that you can try. Just like Asiago, it is a hard Italian cheese that can be grated over pasta. Grana Padano is a great substitute for aged Asiago because it has almost the same grainy texture and sharp taste. This cheese is made from unpasteurized skim and whole cow’s milk. As it ages, the flavors become sharp, aromatic, and complex. You can find this cheese easily in local gourmet stores, but some may even be available in grocery stores. 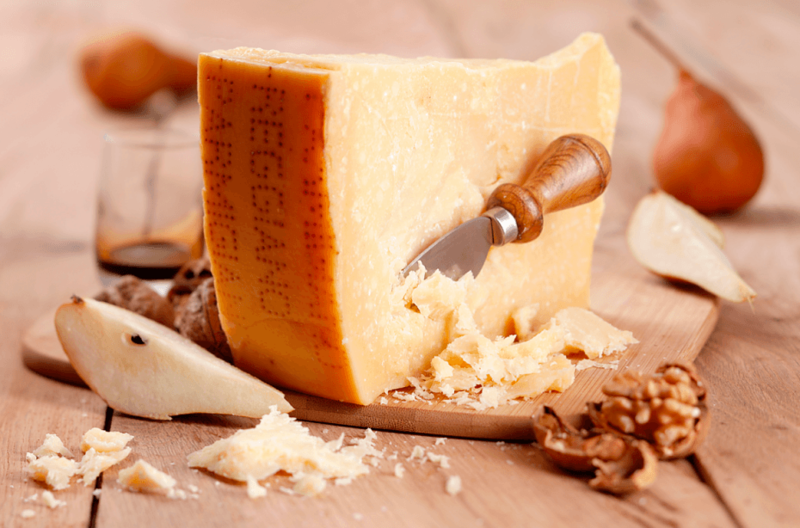 You might be confused over the difference between Parmigiano-Reggiano and Parmesan. As a matter of fact, I am. 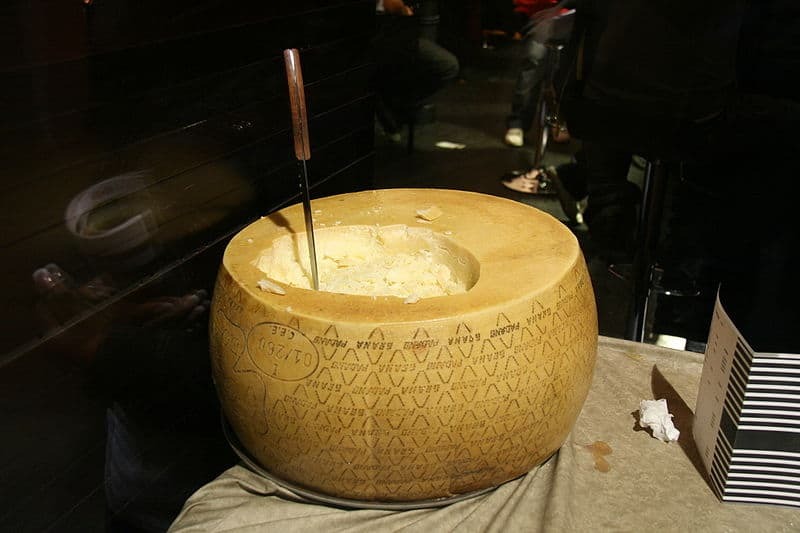 According to a non-profit organization called L’Italo-American, Parmesan refers to the American translation of the Italian term Parmigiano-Reggiano. Hence, both terms refer to the same kind of cheese. Parmesan with a slightly sharper taste is another great substitute for aged Asiago because of its similar nutty and rich taste. Unlike Grana Padano, it is made from whole skim milk and a bit expensive. It is another type of hard cheese that can be used as a grating ingredient for several dishes, like pasta, soups, and salads. If ever you’re considering to buy this cheese in the market, make sure that you check the package if it is tightly sealed. Quality may be compromised if you find that the cheese has been exposed to air. It is also important to ask your cheese monger if the Parmesan you’re buying is genuine because some are just pure imitations. 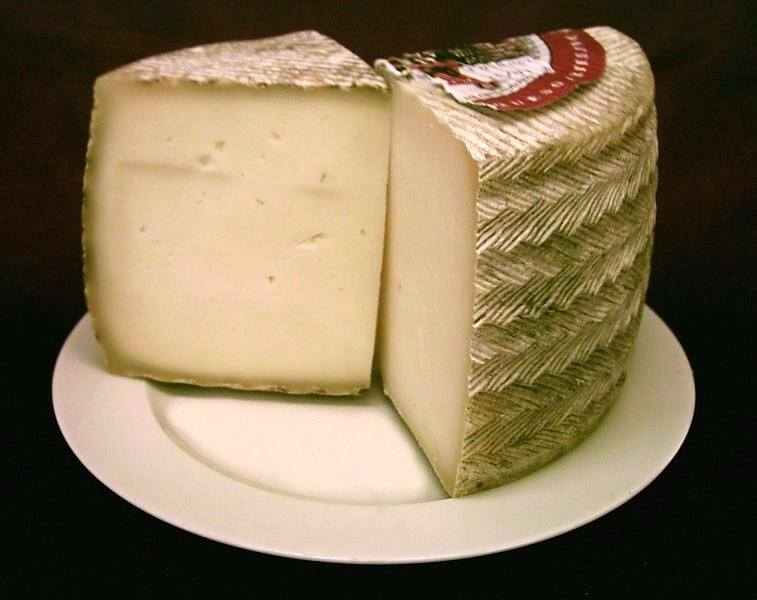 Another suitable Asiago cheese substitute is the Manchego cheese which originates from La Mancha, Spain. This Spanish cheese is created from unpasteurized milk from sheep.Like, Asiago, Manchego also comes in two varieties- aged and younger. 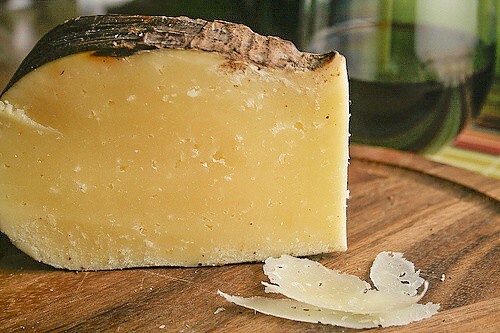 The aged Manchego cheese is perfect for grating purposes and has a distinct yellow color. On the other hand, the younger Manchego cheese is less firm and has a sweet flavor. Between the two Manchego varieties, the aged variety might be the more suitable replacement for aged Asiago in dishes that require some grated cheese, like salads. You can make your own Manchego Salad in this video here. You can substitute fresh Asiago with Provolone cheese. As you know, fresh Asiago is more preferred over aged Asiago when it comes to sandwiches because of its sweet taste. It can even be used as a cheese bread ingredient, like this recipe here. 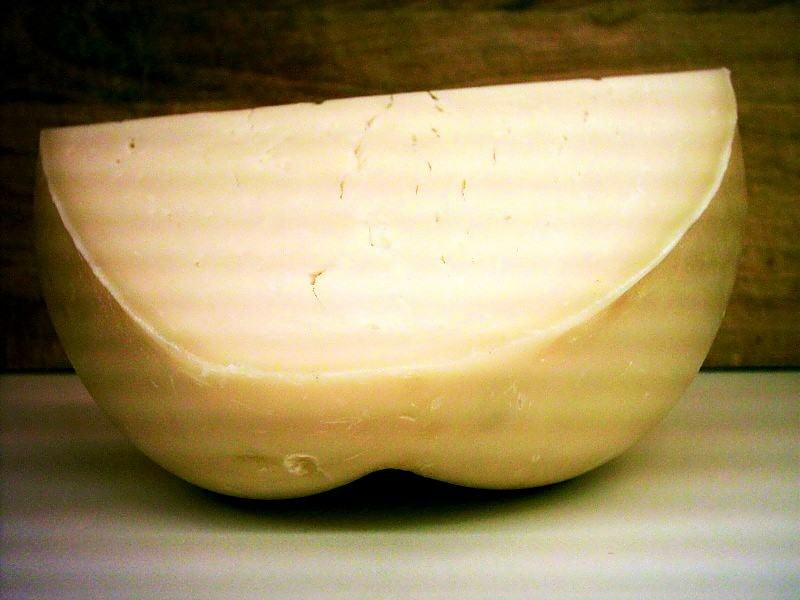 Provolone is made from cow’s milk which originates from Southern Italy. Like Asiago, it also comes in two kinds- Provolone Dolce and Provolone Piccante. Provolone Dolce has a sweet flavor while Provolone Piccante has a more tangy flavor. Between the two varieties, Dolce is most commonly produced in America. You may use provolone as a pizza topping, like this recipe here. You can also use it as an ingredient for your garlic bread, just like this recipe here. One of the best substitutes for Asiago on pizzas and pasta is the Romano cheese. By the term “Romano” itself, you can tell that its origins come from Rome, the capital of Italy. If you’re working on recipes that call for aged Asiago, you may substitute it with the different varieties of Romano cheese, like Pecorino Romano and Caprino Romano. 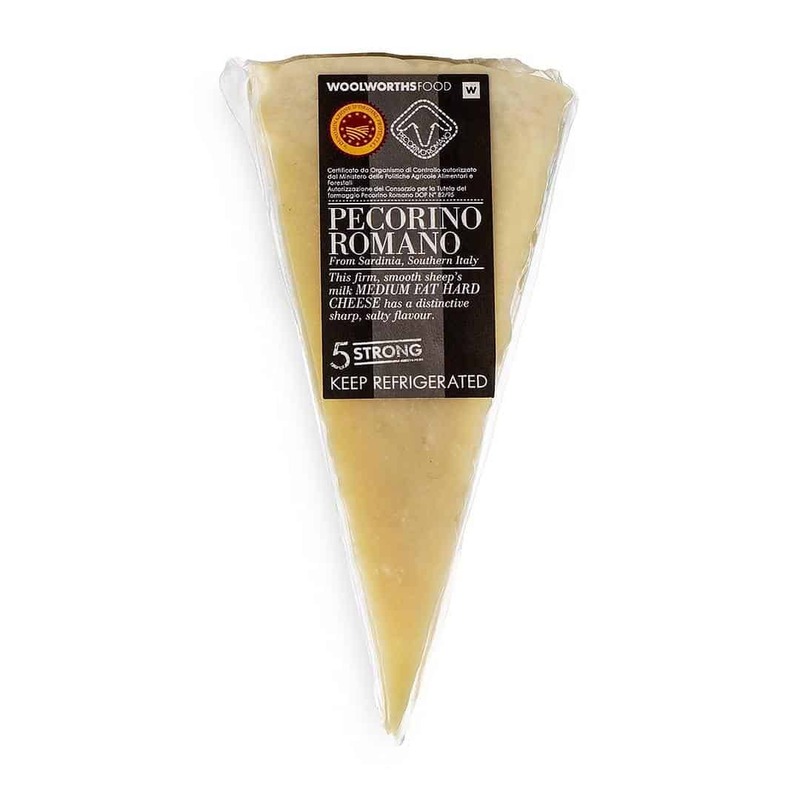 Pecorino Romano is made from sheep’s milk while Caprino Romano comes from goat’s milk. Between these two Romano varieties, Caprino Romano has a sharper taste. Don’t you know that you can make your own Pecorino Romano at home? If you are raising some sheep on your farm, you can get their milk and transform them into Pecorino Romano. You can follow the steps in this video. Do you remember the Monterey Jack back in the mid-1950s? D﻿﻿ry Jac﻿﻿k is the aged and firmer version of Monterey Jack. As the texture is similar to aged Asiago, this is a good replacement for grating over pasta, soups, and salads. You can also grate this cheese over omelets and sandwiches. According to cheese expert Steven Jenkins, Dry Jack doesn’t fall under the grana category like all Italian cheeses, but it is a firm cheese that grates wonderfully. Grana literally refers to a class of firm cheeses with granular textures. If you compare this with Parmesan, Dry Jack has a creamier and richer flavor. 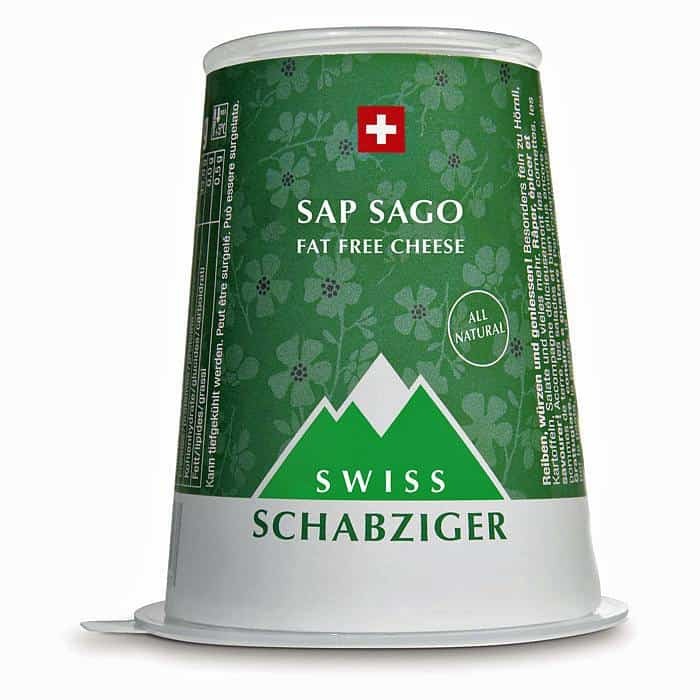 Another great replacement for Asiago is S﻿﻿ap S﻿﻿ago, a hard gourmet cheese that originates from Switzerland. It is created from skim milk and fenugreek, a flavorful wild clover which grows in the local area. Since this has a hard texture, it is perfect for grating over dishes, like sauces.The best thing about this cheese variant is its low-fat content. Approximately, there is about 0.8 gram of fat in every 100 grams of Sap Sago. If you’re on a low-fat diet, then substituting Asiago with Sap Sago is a great solution. Have you ever heard of nutritional yeast from your vegan friends? Usually, you can find this wonderful food product in the supplement section of health food shops. With its cheesy, glutamate flavor, it becomes a great substitute for recipes that call for a drizzle of cheese. 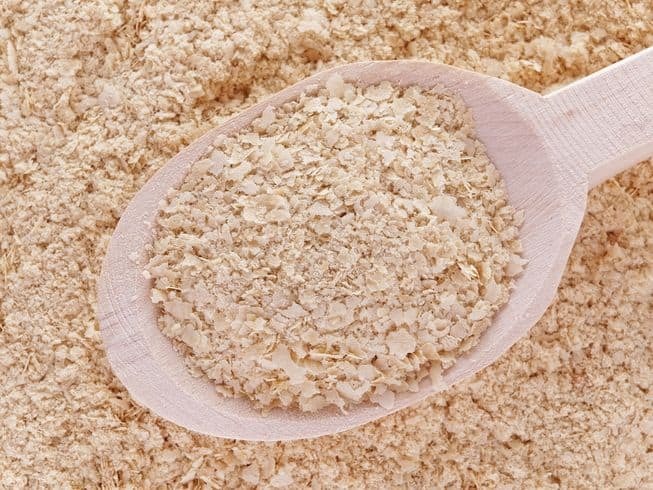 Nutritional yeast is an inactive yeast produced from sugar cane. It is a healthy substitute for Asiago because it has B vitamins, protein, and low-fat content. It is also safe for those allergic to cow’s milk because it is free from animal products. You can sprinkle some nutritional yeast on various dishes, like soups, pasta, and salads. One of my favorite ways of using nutritional yeast is to use it in making Mac and Cheese. You can watch how this recipe is made in this video. Working on a pizza recipe that calls for Asiago as a topping? 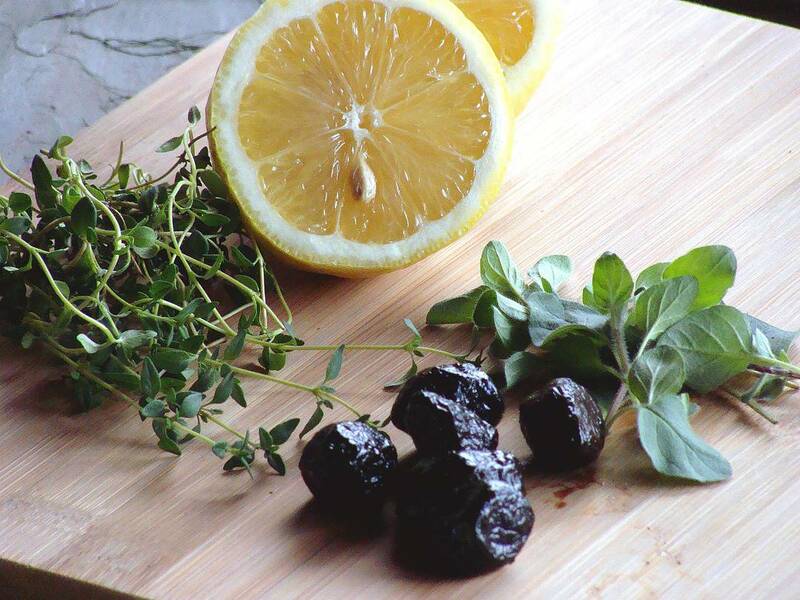 Substitute it with oil-cured black olives, which are softened in oil for a couple of months. They look like small prunes because they become wrinkled when cured. Such curing is essential to remove the bitterness of olives. Aside from the great taste that olives offer in your pizza, they also provide antioxidant and anti-inflammatory health benefits. This is because olives are rich in Vitamin E, flavonoids, and monounsaturated fats. If you like to make your own oil-cured olives, you can watch this video below. Another great substitute for Asiago in pizza toppings is seasoned breadcrumbs. They provide that same firm texture when you grate aged Asiago over your pizza. 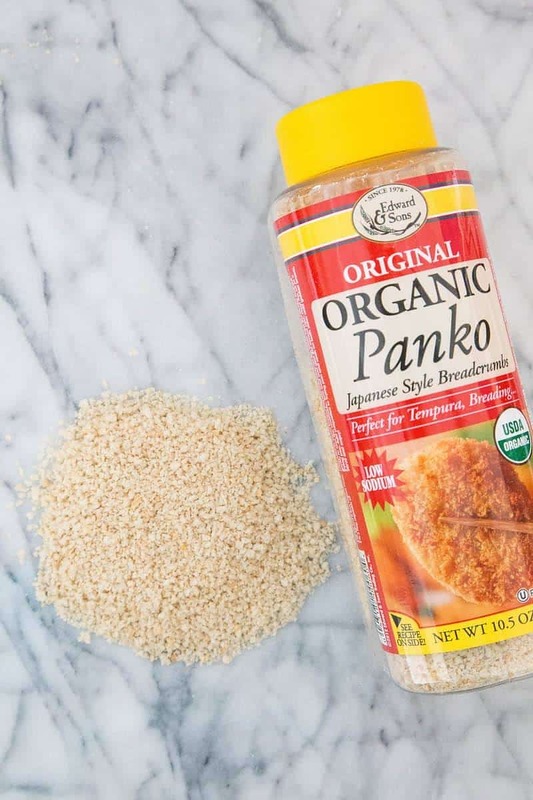 Don’t confuse this with Panko because breadcrumbs can be made with different kinds of bread while Panko can only be made with white bread. You can buy some seasoned breadcrumbs in grocery stores or you can make them at home. Just follow this recipe here. You can also watch how this is done in this video. Try to experiment with different herbs and spices, like sage, parsley, and cayenne, to get that extra flavor. Another great Asiago cheese substitute is Baita Friuli, an Italian cheese made from pasteurized cow’s milk. It has the same fruity and slightly sharp flavor of Asiago that complements well for salads. Since this is a firm cheese, it can be grated over dishes, like pasta and casseroles.This kind of cheese ma﻿tures faste﻿r﻿﻿﻿﻿ in as little as much as six months. Under its tough later is a hard, pale yellow color. The taste has a great balance of saltiness and sharpness that’s why it goes well with meat dishes, like beef tenderloin steaks. Have you enjoyed reading the list? Have you decided which Asiago cheese substitute will you use next time? Personally, I find this list important because it gives me more options to choose other ingredients aside from Asiago. Before, all I know about other cheese varieties are cheddar and Parmesan. Now, I know that there are a lot of Italian cheese that you can substitute for Asiago. Breadcrumbs and olives can even be substituted for pizza toppings. If you want to share something, don’t hesitate to post it in the comments section below. You may also share this article to share your new found knowledge. Read more related article at 11 Amazing Substitutes For Ricotta Cheese! I make my own grated cheese for serving over pasta and in Greek dishes. I use equal amounts of romano, parmesan, aged asiago, hard ricotta (ricotta salata) and hard provolone. What is the best way to store this mixture. I vacuum pack the cheese in several batches and then freeze. The open pack is stored in the frig in an airtight jar, but sometimes the cheese will turn moldy in the frig if it is not used within a month. What is the best way to store this grated cheese?